Made possible by Grand Leisure Corporation and Solaire Entertainment, this one-night event will be held on July 27 (Friday), 8 p.m., at The Theatre at Solaire. This will be the first time for these two entertainers to hold a show in Manila together. The Man with Many Face and Voices, Willie Nepomuceno, has been known as the country’s leading impressionist thanks to his unparalleled impersonation of former presidents Ferdinand Marcos, Fidel Ramos, and Joseph Estrada, as well as other politicians and celebrities. Nonoy Zuñiga, meanwhile, is Philippine’s premier balladeer, being the voice behind unforgettable OPM love songs like “Never Ever Say Goodbye,” “Kumusta Ka?” and “Doon Lang.” His latest venture is in support of Visayan Pop entitled “Pero Atik Ra,” a duet with singer Jolianne Salvado—his first time releasing a digital single. Feel the rush of nostalgia singing along to Zuñiga’s timeless ballads and give out a hearty laugh at Willie Nepomuceno’s spot-on impressions of foreign and local celebrities. 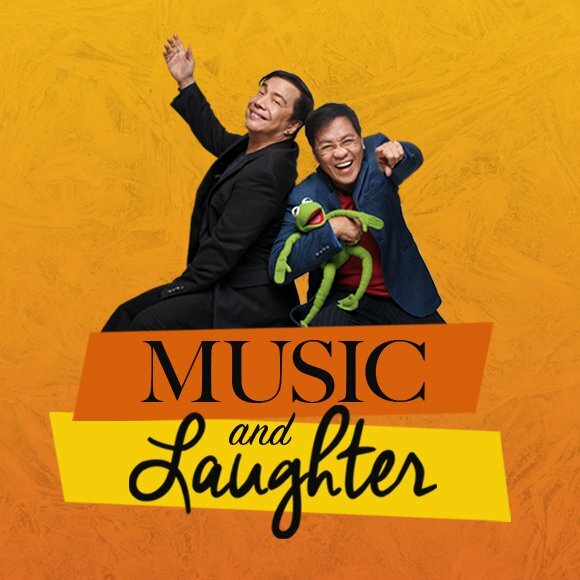 Tickets are now at ticketworld.com.ph and expect to have pleasant entertainment and engaging humor with these two legendary Filipino artists. Solaire Resort & Casino, the primary property of Bloomberry Resorts Corporation, is a USD $1.2 Billion integrated destination resort on an 8.3-hectare site in Manila, Philippines opened March 2013. Solaire, a luxury destination casino resort, is the first property to open in the Entertainment City, a government-sponsored (Philippine Amusement and Gaming Corporation) economic development zone. Solaire’s Phase 1 features 488 luxurious rooms, suites and bayside villas, 18,500 square meters of gaming space, a wide range of award-winning dining experience and signature restaurants, sophisticated bars and lounges, and an ample multi-level car park. The property has additional 258,721 square meter expansion project under development which is expected to open 4th quarter of 2014. For more information and reservations, please contact a travel professional or access the website at www.solaireresort.com.